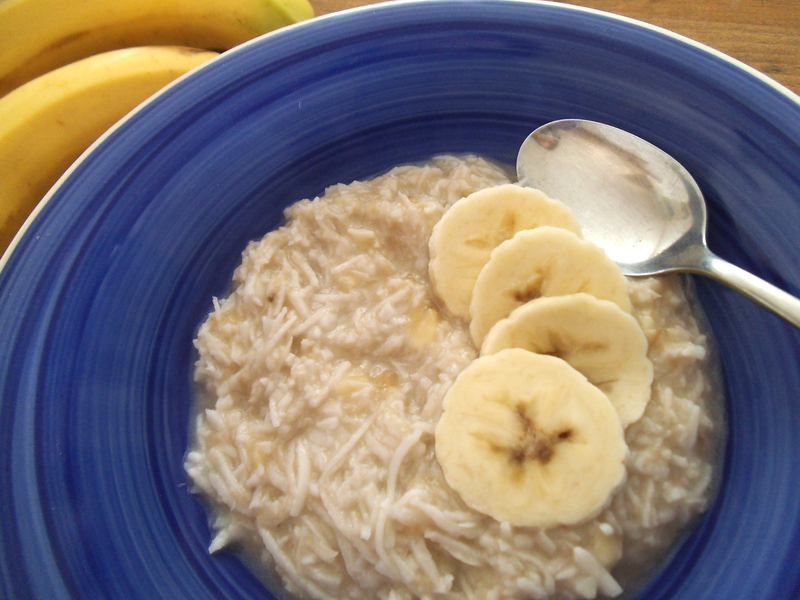 So easy to make you won’t believe it, this paleo “oatmeal” is the best! And the minimum number of ingredients? Two. Coconut and banana. I sat amazed after the first bite! This ultra simple recipe came about because starting every day with eggs was getting boring. Furthermore, eating nothing but protein in the morning seemed to result in a headache. In my quest for variety in the grain free realm, I researched a few paleo “oatmeal” recipes. But they were either complicated or required expensive ingredients. This recipe is not like that. Plus it offers endless mix-in options! Got a fork and bowl? You are just one minute away from breakfast bliss. What will you mix into yours? almond butter, peanut butter, etc. chocolate chips, cacao nibs, etc. Add water (or almond milk) to coconut flakes until they are moistened completely. Heat wet coconut mixture to boiling, either via microwave or stove. Mash in banana and stir until well blended. Add any mix-ins you like. Serve warm. This is such a great idea to add coconut, I will try next time. Oh that is a marvelous idea! I just started the Trim Healthy Mama plan and need ideas for breakfast. I can not start my day off with grains, so this is perfect. I would skip the banana and add blueberries and a pinch of cinnamon, I think. Thanks for sharing this! Did you get to try the coconut “oatmeal” yet? Thanks so much, Raia! 🙂 I’m so glad to be a part of the sharing!